FLW is a data expert. Since 1999, we have been working with global companies and government agencies, turning big data into actionable business insights. Using best industry practices and our proven methodology, FLW automates data collection and reporting processes. 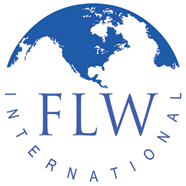 FLW has extensive expertise in designing and building reporting dashboards and scorecards using graphics, animation and video. We can custom-build applications and/or leverage a client's existing BI Tools such as Cognos, QlikView, SAS, etc. Leveraging our business analytics experience across Financial, Retail, Supply Chain Management, Healthcare, Pharmaceutical and Manufacturing industries, FLW helps clients use data and insights to make decisions on an ongoing or adhoc basis. We help our clients build business processes that provide analytical support to various functions throughout the organization.